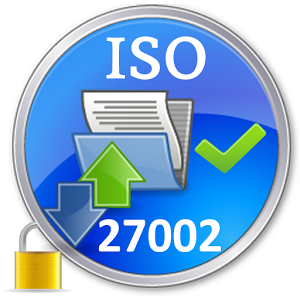 The ISO 27002 standard is the rename of the ISO 17799 standard, and is a code of practice for information security. It basically covered the hundreds of potential controls and control mechanisms, which may be implemented, in theory, subject to the guidance provided within ISO 27001. The standard "established guidelines and general principles for initiating, implementing, maintaining, and improving information security management within an organization". The actual controls listed in the standard are intended to address the specific requirements identified via a formal risk assessment. The standard is also intended to provide a guide for the development of "organizational security standards and effective security management practices and to help build confidence in inter-organizational activities". The basis of the ISO 27002 standard was originally a document published by the UK government, which became a standard 'proper' in 1995, when it was re-published by BSI as BS7799. In 2000 it was again re-published, this time by ISO ,as ISO 17799. A new version of this appeared in 2005, along with a new publication, ISO 27001. These two documents are intended to be used together, with one complimenting the other. ISO's future plans for this standard are focused largely around the development and publication of industry specific versions (for example: health sector, manufacturing, and so on). Note that this is a lengthy process, so the new standards will take some time to appear. 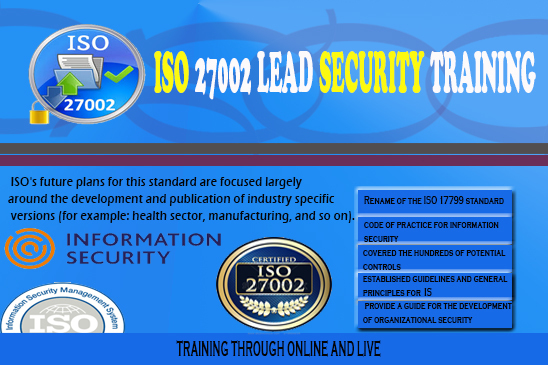 ISO 27002 Lead Security Covers the IT Policies Development in every sector of IT and Provide valuable guidelines, which assist manager to achive their goals on time. "The Pr-requisites of the course, the candidate must have graduated or working in the same field for at last one year and following people are eligible for this training program. The People who are involved in Information or data Systems & technology are eligible for this course. 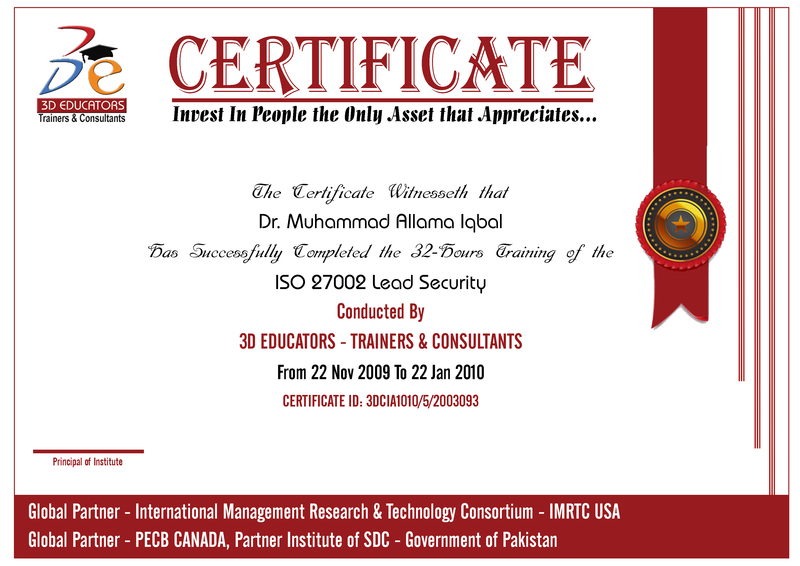 And those who would like to know what actually the information security and where to start the career in Information Security Domain then ISO 27002 is one of the good area to join this field and make your career in this domain. Information security is becoming increasingly important. Globalization of the economy leads to a growing exchange of information between organizations (their employees, customers and suppliers) and a growing use of networks, such as the internal company network, connection with the networks of other companies and the Internet. Furthermore, activities of many companies now rely on IT, and information has become a valuable asset. Protection of information is crucial for the continuity and proper functioning of the organization: information must be reliable. In the Information Security Foundation module, based on ISO/IEC 27002 (ISFS), the basic concepts of information security and their coherence are tested. The Final Certification is accredited and endorsed by the International Organization for Standardization.